A BRILLIANT MONSTER Is Coming Soon - Teaser Trailer Within! There is an interesting tale on the way in the form of director F.C. Rabbath's A BRILLIANT MONSTER. Gravitas Ventures, a Red Arrow Studios company, has acquired worldwide rights to the film which will see a home video and limited theatrical release this May. Head on down below to have a look at the official trailer. The film is from director F.C. Rabbath with a cast starring Dennis Friebe, Joy Kigin, Nick Leali, Dina Najjar, Aléa Figueroa, and David Raizor. It was produced by F.C.Rabbath, Dennis Friebe, Ramsey White, Jessica Roszko, and Joshua Ayres. "The story centers around Mitch Stockridge (Dennis Friebe), a successful author of inspirational / self-help stories who hides a dark secret—that his seemingly endless procession of creative ideas are supplied by a monster he hides in his house. And the monster must be fed—with human souls, and human flesh." 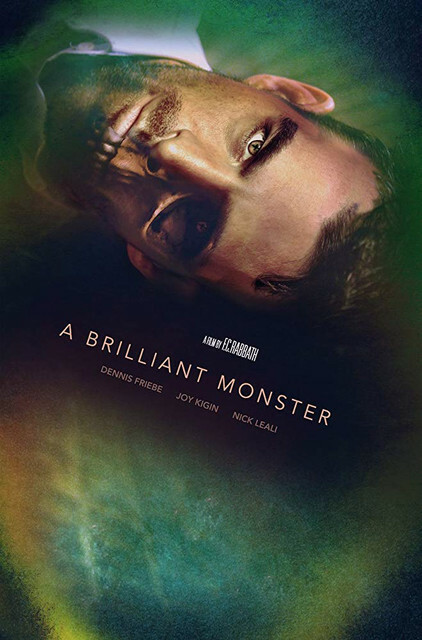 A BRILLIANT MONSTER premiered at the famed TCL Chinese Theatre in Hollywood in 2018, in the prestigious Dances With Films festival. It will have a limited theatrical release along with digital/home video this May.